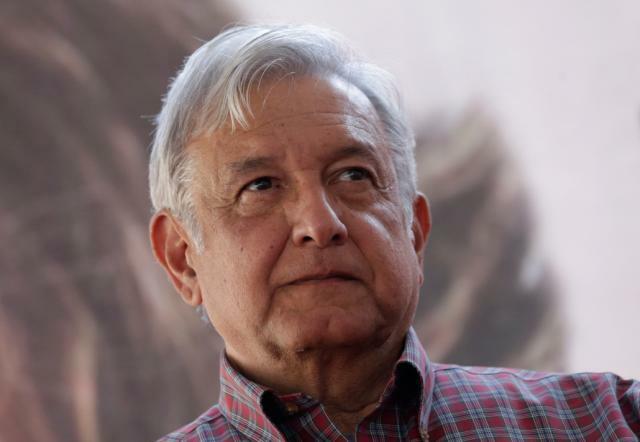 According to international news agency Reuters, Mexican presidential hopeful Andres Manuel Lopez Obrador filed a complaint with the Inter-American Commission on Human Rights on Wednesday against U.S. President Donald Trump’s planned border wall and his administration’s treatment of immigrants. Trump has ordered a wall built along the nearly 2,000-mile U.S.-Mexico border, has moved to strip federal funding from “sanctuary” states and cities harboring illegal immigrants, and expanded the force of U.S. immigration agents. During his election campaign, Trump described Mexican illegal immigrants as rapists and criminals and insisted that Mexico would pay for the wall. That caused simmering diplomatic tension and angered everyday citizens south of the border. The commission, an autonomous organ of the Organization of American States (OAS), is tasked with promoting and protecting human rights in the American hemisphere. MAPASTEPEC, Mexico (Reuters) – Amid pressure. The State Secretariat of Public Security. The Secretary of Health, Mauricio Sauri. A fire that already covers 200. WASHINGTON (Agencias) .- The United States. Mexican National Guard with “Big Brother” faculties. The senators who will discuss the. Journalist unveils secret meeting in U.S. on “use of military force in Venezuela”. WASHINGTON (Agencias).- “A group of experts. Since Sunday April 14 in the. MEXICO CITY, April 15 (Reuters) –.